Maurizio Sarri has downplayed Pep Guardiola's suggestion that Chelsea are still in the Premier League title race as he prepares his team to face leaders Manchester City on Sunday. The 60-year-old Italian said his side were "lucky" to beat City in December when they ended the champions' 21-match unbeaten run with a 2-0 win at Stamford Bridge. But Sarri said his fourth-placed team are not in the title picture, even though Guardiola said Tottenham, Chelsea or even fifth-placed Manchester United could not be ruled out. City lead the table on goal difference from Liverpool, with both sides 12 points clear of Chelsea. "I think we will be able to fight for the top four this season. No more, I think," Sarri said at his pre-match press conference on Friday ahead of the trip to the Etihad Stadium. "We can win something of course, but in the Premier League there is a fight between Liverpool and Man City. At the moment Man City is the best team in Europe." Sarri was also asked again about Eden Hazard, saying he wanted the Belgium forward to be "happy" wherever his future lies as speculation continues to swirl over a potential move. Hazard this week admitted to having made a decision on his future, with his Chelsea contract expiring in June 2020 and amid repeated links with a move to Real Madrid. "I speak every day with Eden, but I speak with Eden about his position on the pitch," said Sarri. "I will be really very happy with him if he will want to stay because in my opinion he's the best in Europe. "But it's up to him, I think. I want to see him happy. And so, he has to decide." Sarri has previously suggested he does not expect Hazard's decision to be known until the end of the season. 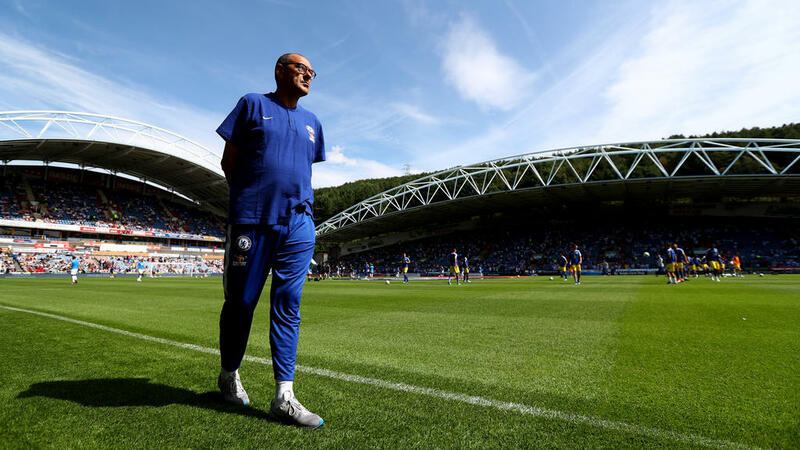 The Chelsea boss and Guardiola share a mutual admiration for their similar playing styles, but Sarri said they tend to pick former AC Milan boss Arrigo Sacchi's brains when they meet socially rather than sharing their own secrets. "We have a good relationship. Very, very good," Sarri said. "Usually during the summer we have dinner together. I hope he speaks very well about me as a coach, as a friend. "Usually we learn from Arrigo Sacchi. Because Arrigo is always with us. So it's very interesting to speak to Arrigo."